Pride of America from NCL is the newest US-flagged cruise ship to leave port in over half a decade. This amazing floating resort has fun for the whole family. There are family penthouses and suites, connecting staterooms, and tons of family-friendly activities. 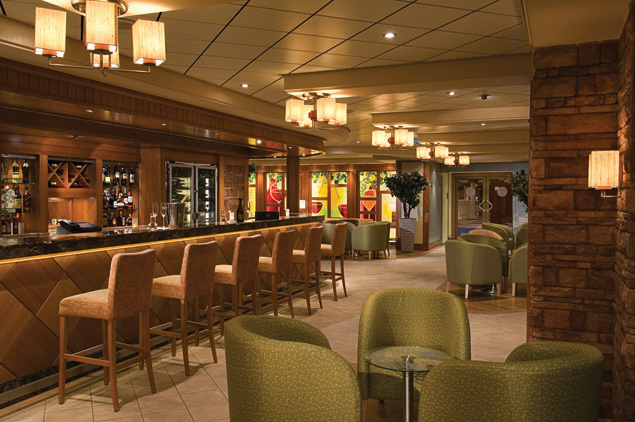 The ship also is home to the largest conference facilities on the seas - 9300 square feet and an entire deck dedicated for this purpose. Enjoy the luxury suites and villas, the variety of dining options, and the endless fun. Get ready for the cruise of a lifetime! 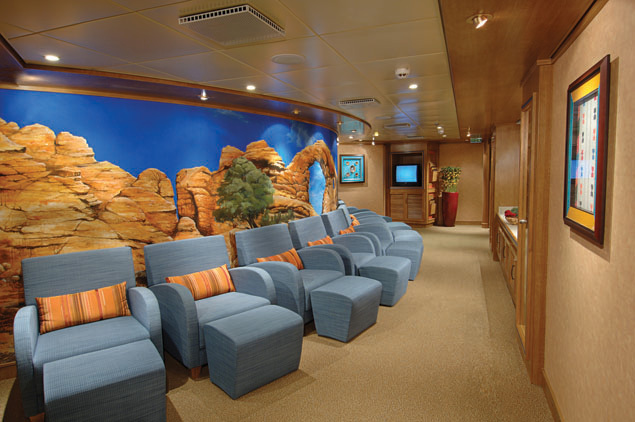 Pride of America is an amazing ship full of amenities and great activities for the whole family. Check out the brand new Gyrosphere, where you can spin and whirl, or practice your golf swing at the driving nets. Relax in the sun at the South Beach Pool and take a dip in the hot tubs or play some outdoor chess and meet other passengers. Get your game on at the Blast Off Video Arcade, or read a great book at the SS America Library. 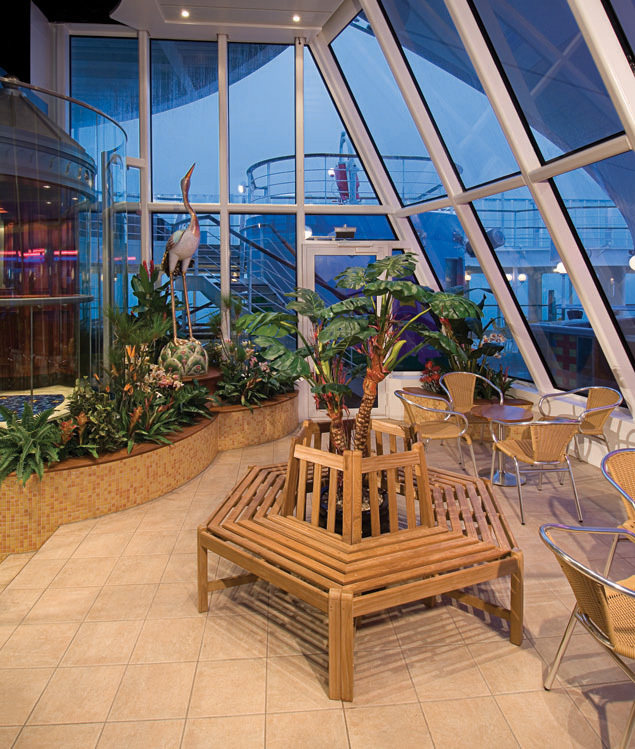 The ship has a game room, a photo gallery, a SoHo Art Gallery, and even a wedding chapel. Head over to the boutiques and do a little shopping at the Newberry Street Shops or pamper yourself at the Santa Fe Spa. Work up a sweat at the Santa Fe Fitness Center, which also has a jogging track, basketball, volleyball and tennis courts. What an invigorating opportunity to kick off your day! Get ready for a culinary explosion from Pride of America’s 10 unique restaurants. The Liberty Main Dining Room and the Skyline Main Dining Room offer style, décor and amazing menus. 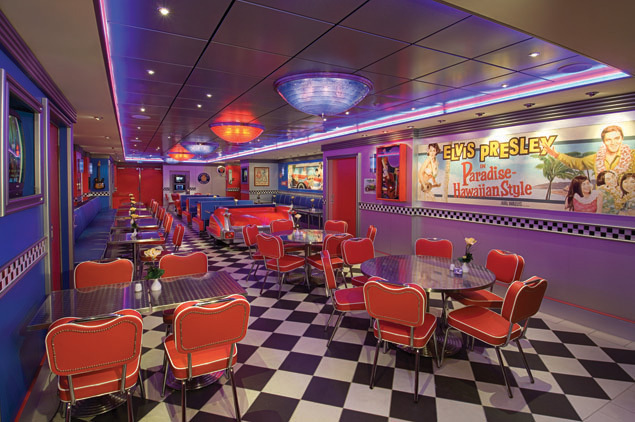 The Cadillac Diner is a retro 1950's diner that has a classic menu and plays classic rock. It is open 22 hours a day. The Lazy J Texas Steakhouse is a great spot to enjoy a t-bone steak. East Meets West restaurant is full of mouth-watering Pan Asian cuisine or head to Little Italy for a taste of delicious Italian cooking. The Aloha Café is another great spot, and Jefferson's Bistro is a French restaurant with a Jeffersonian theme. 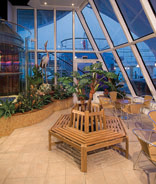 The ship also has a sushi bar and 24-hour room service. 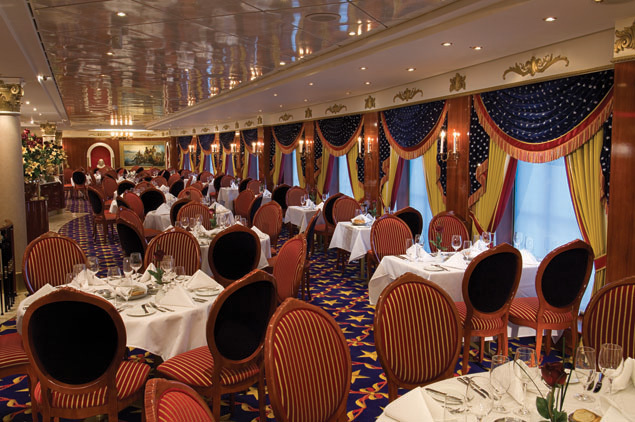 On Pride of America, your night will be spectacular - every night of your trip. The Hollywood Theater has spectacular Broadway-style performances, or dance to the beat at the Mardi Gras Cabaret Lounge and Nightclub. The Napa Wine bar is a splendid spot to enjoy fine wines, and the Gold Rush Saloon is a whimsical themed bar with an extensive beer selection. 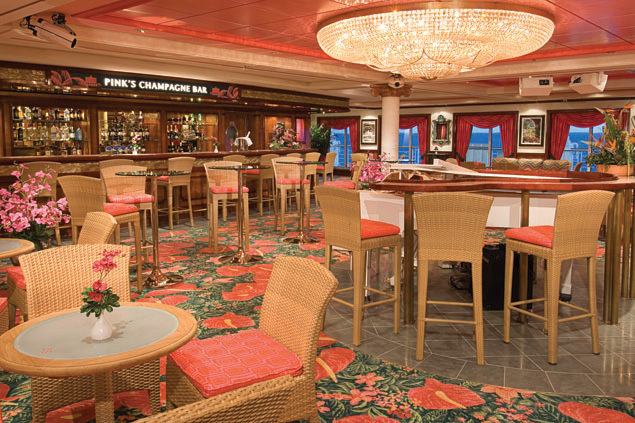 Pink's Champagne and Cigar Bar is the perfect spot to enjoy a hand-rolled cigar, while the Ocean Drive Bar has delicious cocktails. There is also the Lainai Bar, the Waikiki Bar, and the Key West Bar and Grill. Find some company, head out, and get ready for an unforgettable evening!